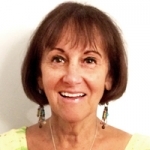 Nancy Wainer is a Certified Professional Midwife who attends home births and who has been present at over 2100 births. She trains student midwives, teaches childbirth classes, is the author of two (soon to be three) books on Birth in the USA. She coined the term VBAC ( vaginal birrh after cesarean) which is now used internationally. Her work is being archived at Harvard University’s Schlessinger Womens’ History Library. She was selected as one of Mothering Magazines “Living Treasures. She is a preceptor for several midwifery schools and has had women from all over the world who have come to the United States to birth with her.She is an internationally known and sought-after childbirth speaker. She was the first midwife in the U.S. to teach HypnoBirthing and in 2013 became the first childbirth educator in Massachusetts to teach Blissborn Childbirth classes. She has written two books on cesarean prevention. “Silent Knife” won an award for The Best Book in the Field of Health and Medicine by the American Library Association the year it was written. She is currently writing her third book “Birthquake: A Pre and Post Childbirth Book for Strong Women and Women Who Want To Be Strong” ( co-author Raquel Lazar-Paley) which, hopefully, will be out by the end of this year!